Columbia Medical AquaLift Bath Lift BUY AquaLift BathLift, 8100, 8830, 8835, 8875. 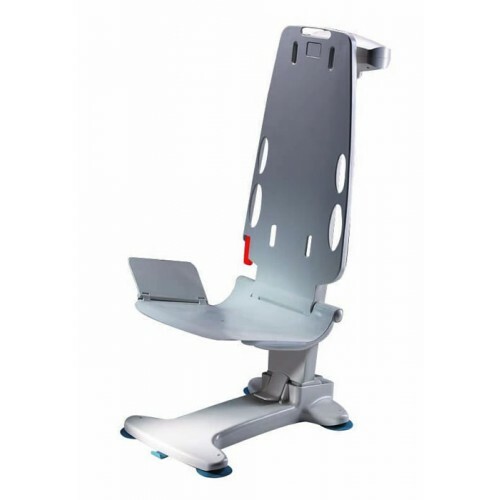 AquaLift Bath Lift is manufactured by Columbia Medical for people who have difficulty getting in and out of the bath tub. The AquaLift Bath Lift folds flat for storage, yet fits into any standard bath tub when fully assembled. Suction cups are used to keep the bath lifter in place. 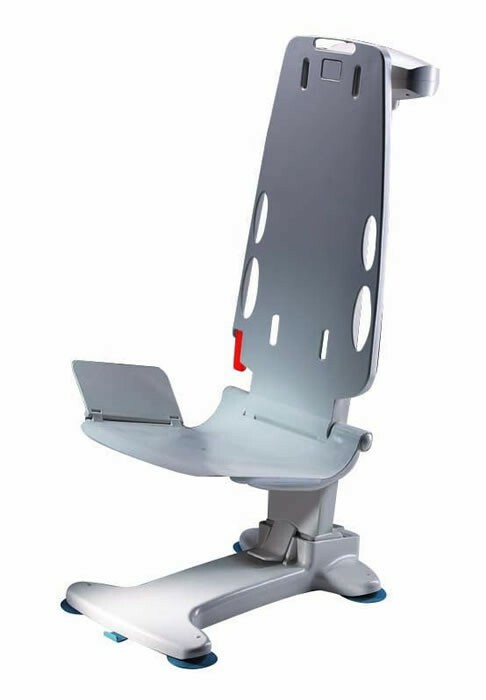 Flexible, the AquaLift Bath Lifter reclines to a 30-degree angle, with a tilt-in-space action. This tilt-in-space action allows the bath lift to stop reclining in any position. The AquaLift is powered by a 12V battery housed in a tough ABS case. 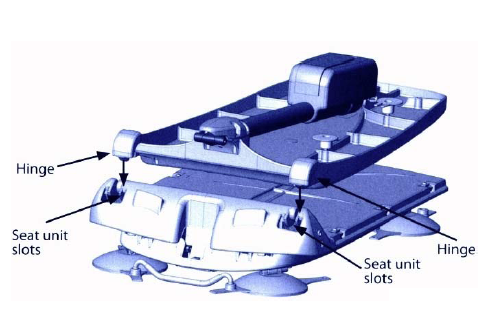 The battery is designed to prevent the AquaLift BathLifter from lowering unless there is enough power to return the chair up. Low voltage 12V smart battery lifts up to 300 lbs. Safety mechanism prevents the chair from lowering when there is not enough power to fully rise after use. Suction cups keep lifter from sliding. Back reclines and seat tilts. Easy to use soft-touch control. Provides for easy transfer in and out of tub. No installation or tools required. Easily disassembles for storage or travel. Columbia Medical AquaLift Bath Lift Product Number: 8100. Battery Specification: 12v @ 4 amp hours. Lifts Per Full Charge: Approximately 6 lifts with an average of 165 lbs. Columbia Medical AquaLift Warranty: 1 year. AquaLift Bath Lift User Instructions includes safety tips, setup, care and operating instructions. Garg, A., B. D. Owen, and B. Carlson. "An ergonomic evaluation of nursing assistants' job in a nursing home." Ergonomics 35.9 (1992): 979-995. Connolly, M. J., et al. "Nurses' attitudes to and use of patient hoists in hospital." Clinical Rehabilitation 4.1 (1990): 13-17. Yukawa, Toshihiro, et al. "Assistance system for bedridden patients to reduce the burden of nursing care (first report—Development of a multifunctional electric wheelchair, portable bath, lift, and mobile robot with portable toilet)." System Integration (SII), 2010 IEEE/SICE International Symposium on. IEEE, 2010. Rosemary Bakker MS, A. S. I. D. "Elderdesign: Home modifications for enhanced safety and self-care." Care Management Journals 1.1 (1999): 47. Heacock, Helen, et al. "Development and evaluation of an affordable lift device to reduce musculo-skeletal injuries among home support workers. "Applied ergonomics 35.4 (2004): 393-399. Hall, Debra. "Bathroom safety considerations for clients with a disability and their carers." International Journal of Therapy & Rehabilitation 10.10 (2003).